John Rambo changes lives. Not just in movies, but in the real world. From the flawed antihero of First Blood to the immortal god of death and destruction in 2008’s Rambo, Sylvester Stallone’s action-hero prototype isn’t just the forerunner of modern, big-budget action stars, he’s a real-life game-changer. A cinematic visit from John Rambo has historically been an omen of big changes to follow in the real world. 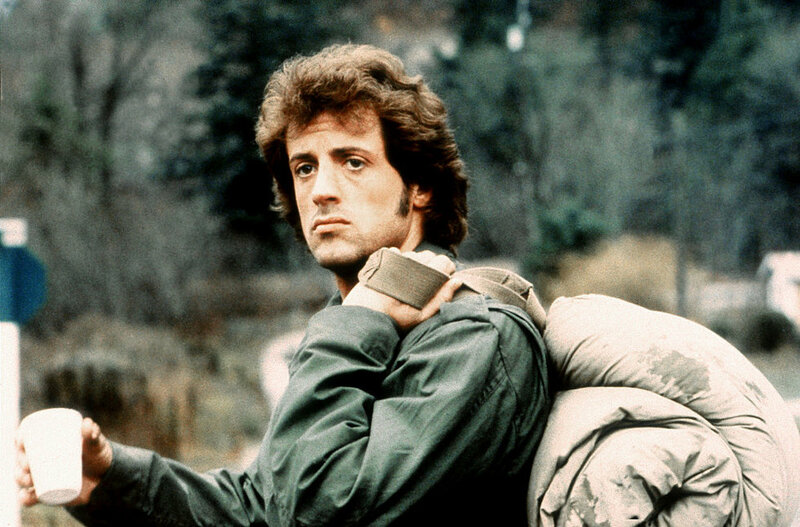 For the uninitiated, Vietnam veteran John Rambo goes off to find some personal peace after the war, meeting up with old Army friends and traveling the world, looking for meaning. What he ends up finding is a personal war everywhere he goes. He fights the bad guys in the movies and wins – but in the real world, something always happens in the country he visits, often within a year of a film’s release, changing them for the better. Anyone who’s a big fan of Sylvester Stallone’s Rambo series knows the sequels are a far cry from the story and intent of the first film. In First Blood, he was a flawed Vietnam veteran who became a rallying cry for a generation of vets who were all but ignored by society. Seriously, this is a really great, thoughtful movie with a good message. The Vietnam War took a toll on America in a way the country still hasn’t fully recovered from. It was the first time Americans learned to distrust the President of the United States and this fostered a general mistrust of the government ever since. First Blood takes America to task about things Vietnam veterans still talk about today: Agent Orange, public indifference toward veterans, public perception of “crazy” Vietnam veterans, veteran unemployment, post-traumatic stress, and more. 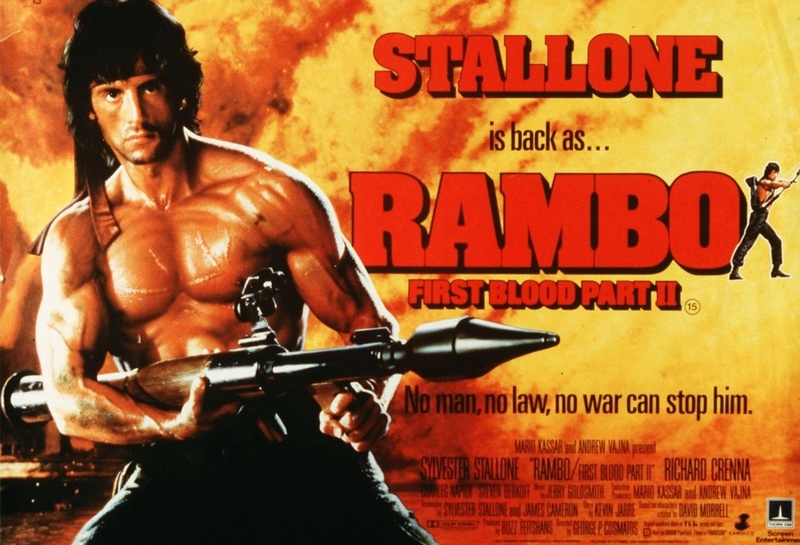 What people really noticed while watching First Blood is how awesome that Green Beret stuff really was, so by the time First Blood Part II came about, Rambo was a full-on action hero — the mold for the Bruce Willises, Arnold Schwarzeneggers, and the Steven Seagals yet to come. The real message was lost amid big-budget explosions and fight sequences. The 80s were a crazy time for everyone. The second installment of the Rambo series was released almost ten years to the day after the fall of Saigon. In the real-world, reunified Vietnam under Communist rule, chaos ensued. Thousands were herded into reeducation camps, a crippled economy suffered from triple-digit inflation, the state went to war with Cambodia and then China. 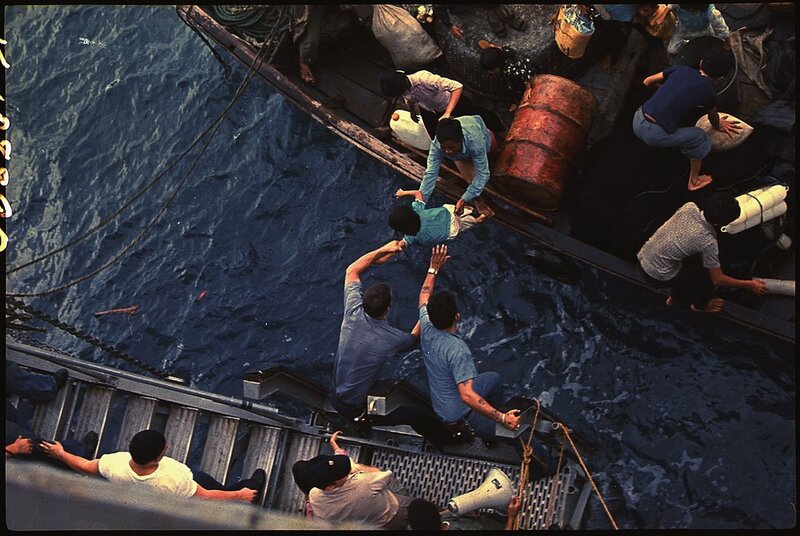 Thousands of refugees took to fleeing by boat to anywhere else. The year after First Blood Part II had Rambo return to Vietnam, the Vietnamese government began implementing massive reforms to move away from the strict Communist structure that dominated it for the previous decade. In the intervening years, the economy began to recover as the government moved to a more socialist form. 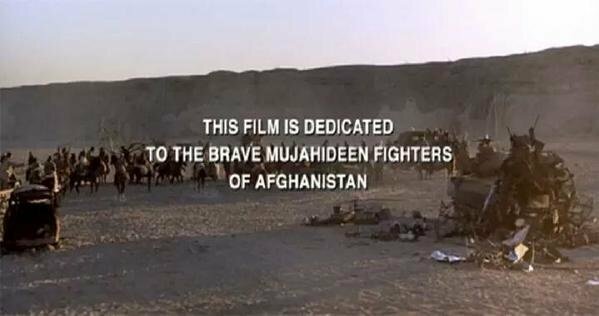 In 1988’s Rambo III, John Rambo sets off to rescue Colonel Trautman after he’s taken captive in Soviet-dominated Afghanistan. Of course, Rambo goes right into Afghanistan, destroys every Soviet in his wake and rescues his old friend in a blaze of fiery glory. That same year, the Soviet Union began its final withdrawal from Afghanistan, a war that was a major contributing factor to the fall of the Soviet Union. Still, some things just don’t age well. 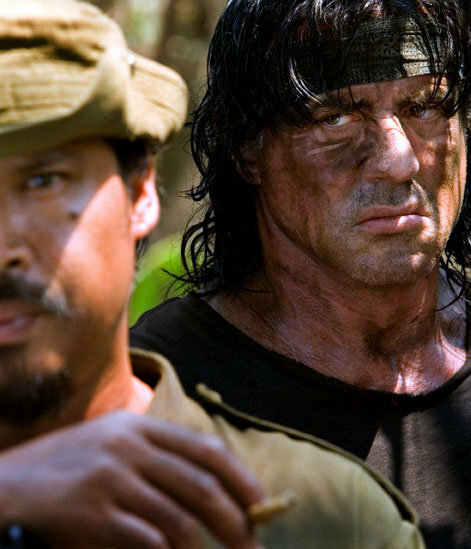 In 2008’s Rambo, the former Green Beret joins a group of missionaries headed to Myanmar. 2008 Myanmar was a brutal totalitarian dictatorship scarred by rampant human rights abuses — both on screen and in the real world. In the film, a warlord is brutalizing the Burmese people and the missionaries become victims. A team of mercenaries goes back into Myanmar with Rambo. Rambo kills everyone who isn’t a good guy. Two months after the film’s release, the actual Myanmar government suddenly held a real constitutional referendum intended to guide the country down the path away from the military junta and into democratic reforms. By 2010, Myanmar held contested, multiparty elections. The military government was fully dissolved in 2011 and, by 2015, there were serious elections held in the country. I’m not saying John Rambo had anything to do with any of this, all I’m saying is that John Rambo couldbe the harbinger of positive change in the world. Which is good, because there are a few place that really need a change. Coming to theaters of war near you. Even though this is hardly the world’s longest ongoing conflict, it has to be one of the most intense and well-attended. Anyone who’s anyone is sending troops to Syria, and soon Germany may even join the party. All joking aside, this is a conflict that has, so far, killed more than a half-million people in seven years by moderate estimates, but no one really knows for sure. A war this intense should end sooner rather than later. Even though Richard Crenna (the actor who portrayed Col. Trautman) died in 2003, maybe Rambo can be sent to Syria to rescue Trautman’s son? I’ll leave that for Stallone to decide, but he’s got to get Rambo there somehow. While the intensity of this conflict peaked more than 70 years ago, the ongoing human rights abuses and detainment of North Koreans in prison camps is exactly the kind of thing John Rambo would hate to see. And if there’s anyone who could reach Kim Jong Un on his own, it’s John Rambo. Just one North Korean parade and it’s all over. Even though his first visit to Burma (Myanmar) foretold the coming of democratic reforms, an argument could be made that they didn’t exactly reach what anyone would call true quality before the law. In fact, a number of civil conflicts are ongoing in Burma, including the Rohingya slaughter and insurgency read so much about in the news lately, but there are others — at least 18 different insurgent groups operate in Burma to this day. Pictured: Rambo sneaking back into Burma. If ever a war needed to end, it’s the ongoing Saudi-led coalition’s war against Houthi-dominated Yemen. If ever any single country needed a John Rambo to finish things off, it’s this devastating embarrassment. For three years, Saudi Arabia and its 24 coalition partners have been hammering away at little Yemen and the Houthis who took it over, killing tens of thousands of people — many civilians — and are no closer to winning right now than they were three years ago. The Moro people of the Philippines have pretty much been resisting invaders since the beginning of time. For at least 400 years, the Moro have resisted Spanish, American, Japanese, American, and Philippine dominance over their traditional area of the country. If there’s a world leader that would make an excellent Hollywood villain, it’s Rodrigo Duterte, current president of the Philippines. He’s not crazy, he thinks he’s doing the world a favor, and his methods are shocking. 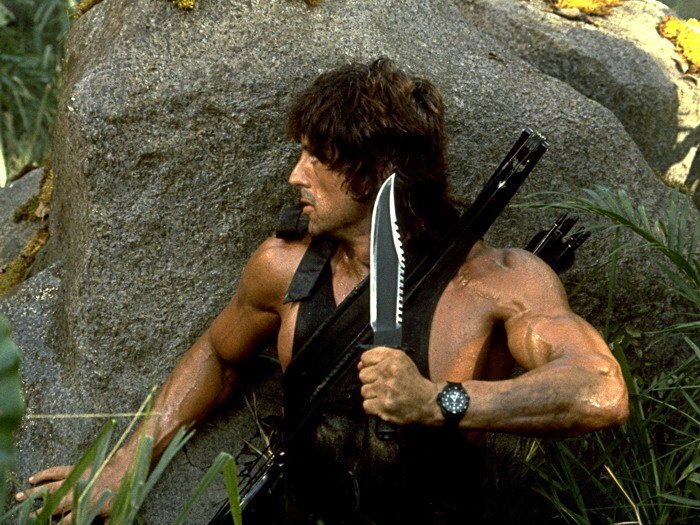 After a few centuries, this conflict should be ready to end and who better to bring that about than Rambo and a giant hunting knife? Somalia has been in the throes of civil war since the 1980s and it has never even begun anything close to a recovery. After the fall of the Barre dictatorship, no one has held a controlling area of the country, including the United States, the United Nations, and even Ethiopia, who invaded Somalia not too long ago, crushing just one more in a long line of Islamic Insurgents who want to control the Somali people. More than half a million people from all over the world have died in this conflict and it has displaced more than 1.1 million Somalis. It is time for this conflict to end — that’s your cue, Rambo.